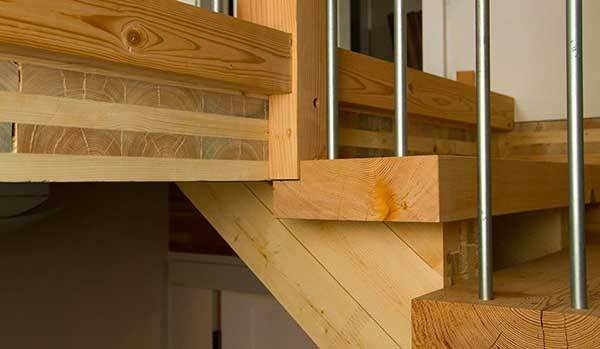 Dubbed by architects to be the hottest item in building construction, cross-laminated timber has made decent inroads into the building market. Why the buzz around this product? 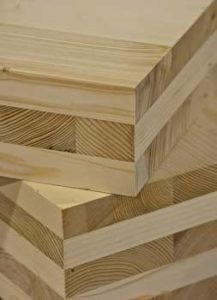 Cross-laminated timber (CLT), is a wood panel product made by gluing pieces of timber on top of each other in opposite directions. The finished structure of the CLT makes it much stronger and more stable than traditional woods used for framing. It can be used for many applications – walls, roofs or ceilings. Framing time is much quicker. That’s because it can be prefabricated before reaching the job site. This also means there is much less waste on the job site. It is considered a green and sustainable material. Provides better thermal insulation (depending on the thickness of the CLT panel). Yes, you read that correctly. 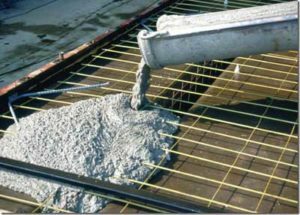 Smart concrete is one of the latest construction trends expected to revolutionize building structures in the future. 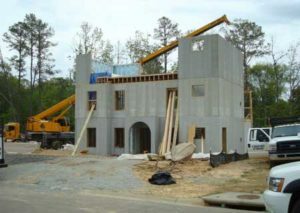 Think about it… Concrete is one of the most commonly used of construction materials in the world. The technology that dates back to the ancient Romans, hasn’t changed much over the centuries. More recently, however, studies are being done which are changing the way we think about concrete. The goal of all the studies are designed to figure out ways to increase the strength and durability of concrete. An engineer with the State University of New York at Buffalo has been working to change the traditional water, cement binder and gravel mixture into a new concrete building material. By adding carbon fibers to the concrete, Professor Chung created a concrete structure that could conduct electrical impulses. When used in a concrete structure, the new smart concrete is able to detect changes and self-monitor for signs of cracks or stress. Self-compacting concrete (also known as self-consolidating concrete), is a type of concrete that is highly flowable. Because it possesses this characteristic, it is able to spread into a form without the need for mechanical vibration (traditional concrete needs to be vibrated or tamped into place). The self-compacting concrete was initially developed in Japan and is now being used all over the world. Because of its fluid state, it easily settles between the framework while it self-compacts. It is particularly useful in construction projects that require heavy reinforcement. If you are considering a new home or commercial construction project, it’s important to know about the latest technologies. Not every new innovation is right for every building project. That’s why the professionals at Prominent Builders can answer any questions you may have about the use of new and innovative products. with your new commercial or residential construction project. « What’s Happening with New Construction and the Real Estate Market in Bergen County, NJ?